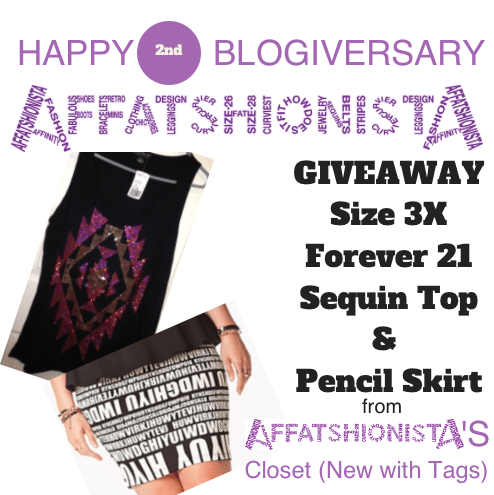 For our last giveaway celebrating Affatshionista’s 2nd Blogiversary, I have two items from my closet (new with tags). You all have clothes like these in your closet! I bought them and then I NEVER wore them. Both the t-shirt and the skirt are too small for me, and then I never returned them. So here they are, for me to send to you…. 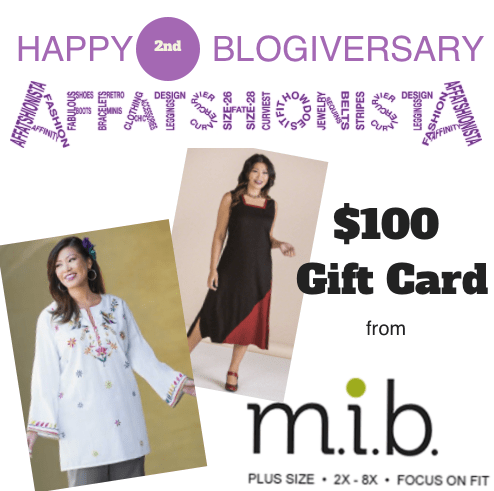 Okay, it is the third day of our five day Giveaway to celebrate Affatshionista’s 2nd Blogiversary. A big thank you to SONSI for their generous contribution of a $50 Gift Card. Let me tell you a little story. You probably know that I am a costume person, all kinds of costumes, but the Mother of all costume holidays is of course Halloween. As I was preparing my Halloween post, I received an email from Sonsi touting their costume selection. When I went back to the author of the email with a concern that SONSI did not have much for 4X and larger women. I got a return email saying they had researched their lines and that the brand most likely to fit 4x+ was Dreamgirl. Now that is caring about your customers. So I reached and they were kind enough to participate in our celebration. 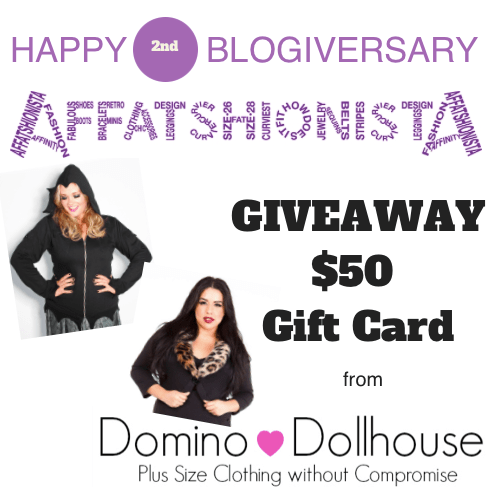 By now you know it is Affatshionista’s 2nd Blogiversary, And guess what, Domino Dollhouse was kind enough to give us a $50 gift card to give you. How cool is that? I may have to have one on those Bat Hoodies myself, they are so FABULOUS! I love Domino Dollhouse and you can see a couple of my posts HERE and HERE.